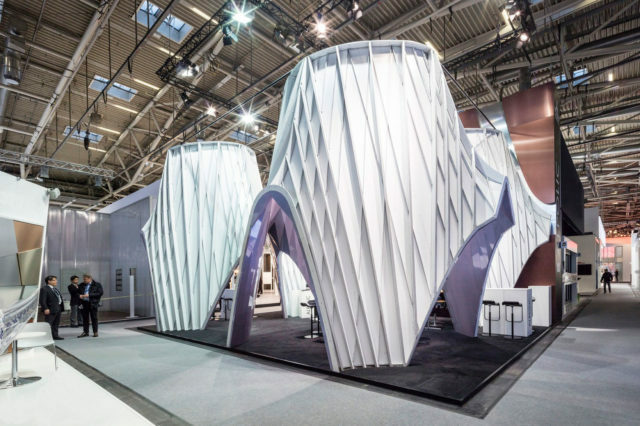 Dutch architecture firm UNStudio first teamed up with ALPOLIC Materials in 2015 for their BAU tradeshow booth, the world’s leading trade fair for architecture, materials and systems. 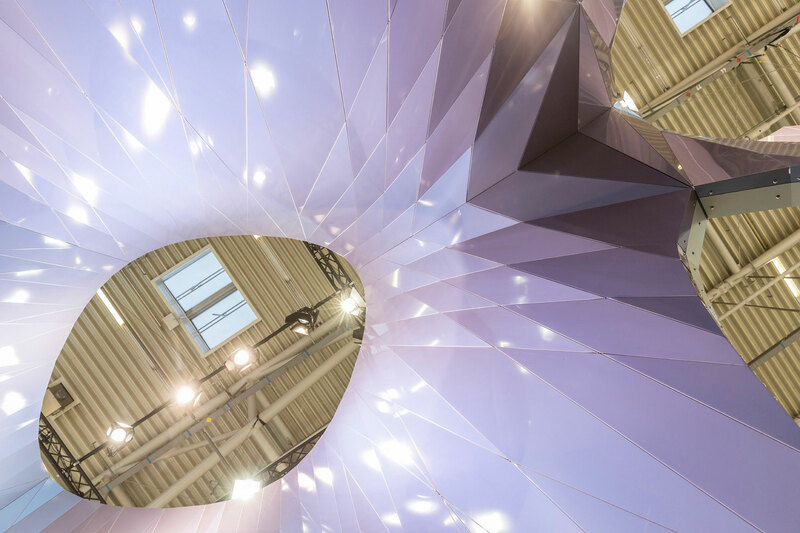 They teamed up again in 2017 to produce a prismatic masterpiece that pushes the boundaries of what is possible with an aluminum composite material. ALPOLIC’s prismatic line features a triple-coat finish with layers of primer, Lumiflon FEVE fluoropolymer resin, and a clear top coat. An advanced die-coating process ensures a smooth finish to ensure no roping marks. 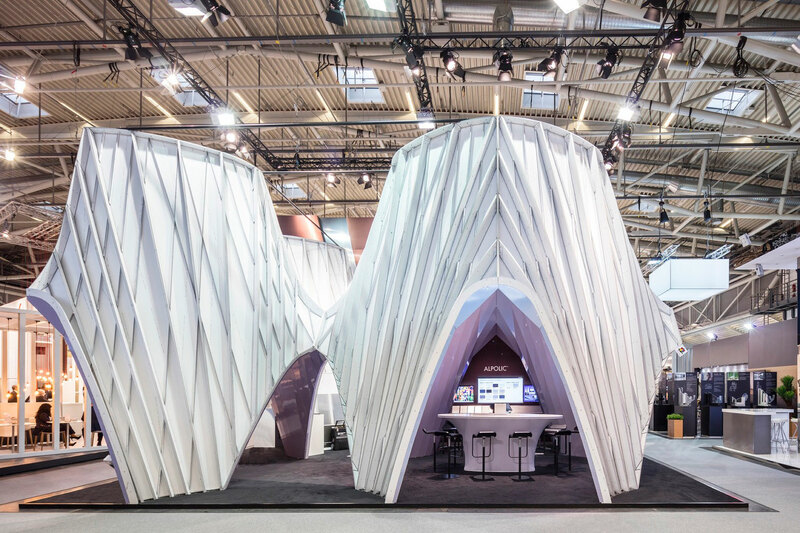 The team at UNStudio and Ben van Berkel, founder and principal of UNStudio, created an incredible self-supporting structure. It not only allows a semi-enclosed display stand, but the parametric design enables a unique user experience upon entry. 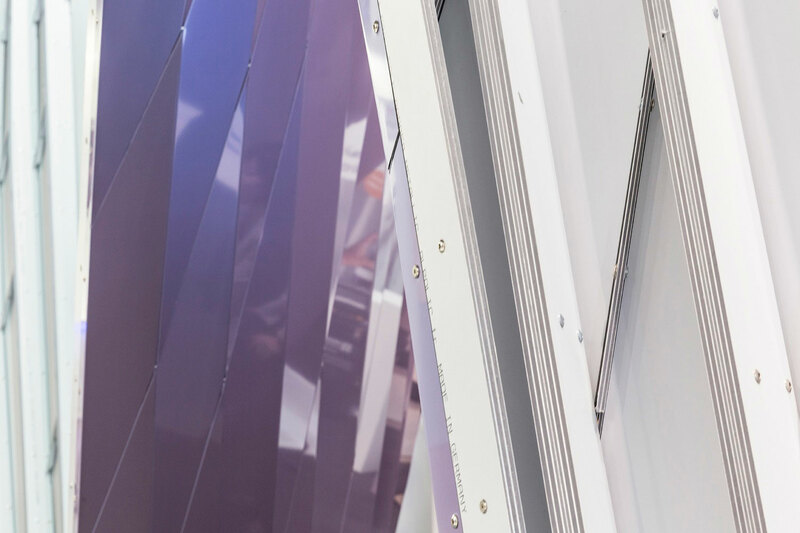 Mimicking the venation of leaves, the exterior features intricately fabricated white panels that are contrasted by prismatic purple panels. The three-dimensional nature of the stand allows for unique perspectives at every angle it was viewed. 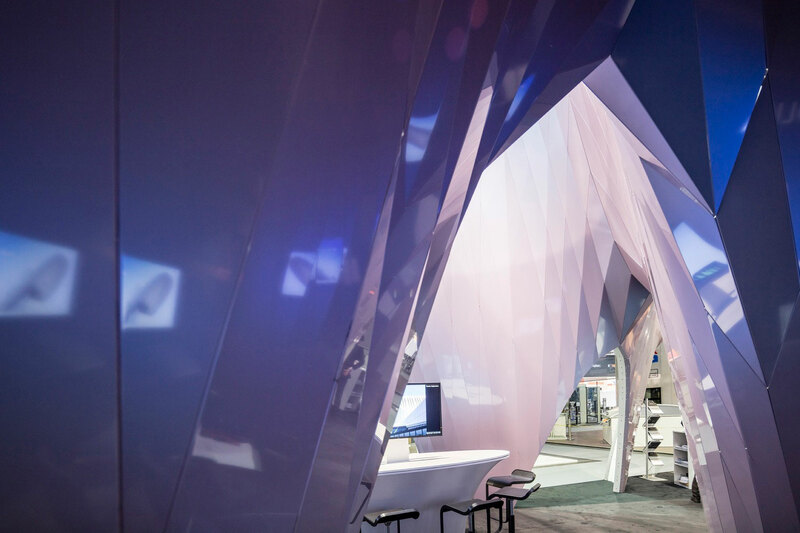 The architects did an incredible job showcasing the light weight, malleability and strength of aluminum composite. The choice of an iridescent finish highlighted the material’s versatility, offering a wondrous natural color contrast. was the premiere choice for the series.